What If My Neato App Says My Robot Is Offline? What can I do if my Neato Robot Continually Disconnects from Wi-Fi? What Wi-Fi networks does my Robot Support? How do I find out if my Wi-Fi router is dual band (2.4 & 5GHz) and configure it to work with my Neato robot? How do I connect my robot to a hidden Wi-Fi network? How do I delete or change my robot's Wi-Fi network? Can I set-up my robot on more than one Wi-Fi network? What router firewall and port settings work with my Neato Robot? What if my Neato app says my robot is OFFLINE but my robot shows that it is connected on the Botvac Connected LCD screen? How do I delete my Botvac Connected Wi-Fi network? What Push Notifications do Botvac Connected Series robot vacuums send? ★ How do I setup "Virtual No-Go Lines" with Botvac Connected-Series Robots? How do I prepare my home for cleaning? How do I create a floor plan? How many zones can be created for each floor plan? Which Neato robots support “No-Go Lines? How do I create multiple floor plans with 'No Go' Lines? How do No Go Lines work with opened and closed doors? How many "MY FLOOR PLAN’s" can I store with Connected-Series Robots? What are boundary markers and how do I use them? I have three large open rooms connected to each other. Where is the best place for the charge base? My Neato Robot does not detect boundary marker I put down. What can I do? My Neato Robot fell down the stairs. What should I do? Sometimes the Neato Robot only goes half-way across an open floor and turns around. Why? My robot doesn’t clean my whole room before moving on to the next room. Is this normal? Why does my Neato Robot sometimes bump into walls and objects? Why does the Neato Robot turn off when returning to its base? 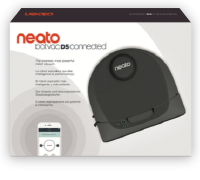 How does the Neato Robot dock on its charge base? Why can’t my robot get back to its charge base? The Neato Robot sometimes takes a different path when cleaning my floors. Sometimes my Neato Robot spins in circles. Is everything okay? How does Auto-Recharge & Resume work? ★ When will I be able to update to the latest version of the software? How do I download / access the Neato app? What floor surfaces can Neato vacuum? What type of debris does the Neato Robot pick up? 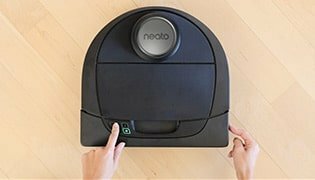 Can Neato Robots clean under furniture? My Neato Robot got stuck going under furniture. Is this normal? Will Neato Robots clean wet floors? What is the maximum height of an obstacle that the Neato Robot can get over? What if furniture is moved, or a person walks into the room while the Neato Robot is cleaning? What are ECO mode and TURBO mode on Botvac Connected? What does the Clean House button or START button do on the XV Series? How to start the robot on a cleaning run? How large of a room or area will the Neato Robot clean? 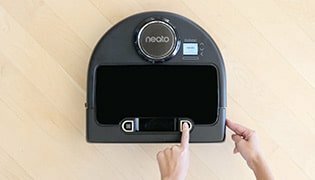 Can I move my Neato Robot while it’s cleaning? 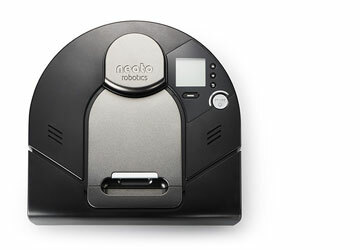 Will my Neato Robot clean more than one room? Why did my Neato start cleaning again during a time that I did not schedule it? How does Spot Clean work on Botvac, Botvac D Series, and XV robots? Where should I locate the Neato Robot’s charge base? What are the system requirements for using Connected-Series Robots with the Neato app? Where can I download the iOS and Android Neato Botvac Connected apps? My Neato Robot bounces or vibrates while traveling across hard-surface floors. What does this mean? How do pets respond to Neato Robot Vacuums? How do I power cycle or reboot my Connected-Series Robot? Why does my Neato Robot sometimes stop and start by itself? Sometimes my Neato XV Robot makes a loud noise. What does this mean? Sometimes my Neato Robot shakes from left to right. Is something wrong? What is the best way to carry Neato Robots? How do I change preferences for sounds, clock, LEDs and button clicks on previous generation Botvac with LCD screen? 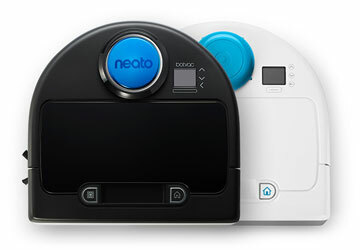 Can I use the Neato app with my XV Series, Botvac Series, or Botvac D Series robot? How do I set the day and time on a previous generation Botvac with LCD Screen? How do I set the clock on a previous generation Botvac with LCD screen? How do I power cycle or reboot my previous generation Botvac with LCD screen? What languages are supported in the Neato Botvac Connected apps? How do I find out if my previous generation Botvac with LCD screen is registered to my Neato account and the status of the robot’s Wi-Fi connection? Can I use a charge base from an older Neato model with my Botvac D3/D5 Connected? How do I empty the dirt out of Neato? How do I clean the Neato brush? How often should I clean my Neato filter? How do I clean the drop sensors? What brush fits in my Botvac robot? How do I get the best performance from my Neato Robot? Where can I buy Genuine Neato Accessories? What does the squeegee do? How do I clean the Neato XV’s brush? How do I change or clean the bearings on my Botvac Robot’s brush? How do I find out what version of software my Neato Robot is running? What is the Ultra Performance Filter? How do I find out information about my Neato robot with an LCD screen on top such as software version and usage information? My robot is out of warranty. How can I have it repaired? How do I find the current software version on my Botvac Connected-Series Robot? What Wi-Fi networks does the Botvac D7 Connected support? I created a Neato account on the Neato website. Can I use the same email & password to sign into the Neato app? What are the System Requirements for using Botvac Connected with the Neato app? 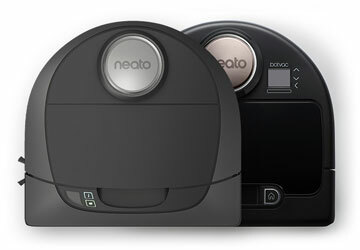 Can I download the Neato app to other smart devices to remotely control the robot? What is the Find Me feature? What is Extra Care Navigation? How do I update my Neato app? I can’t find the Neato app in the Apple App Store using my iPad. What should I do?